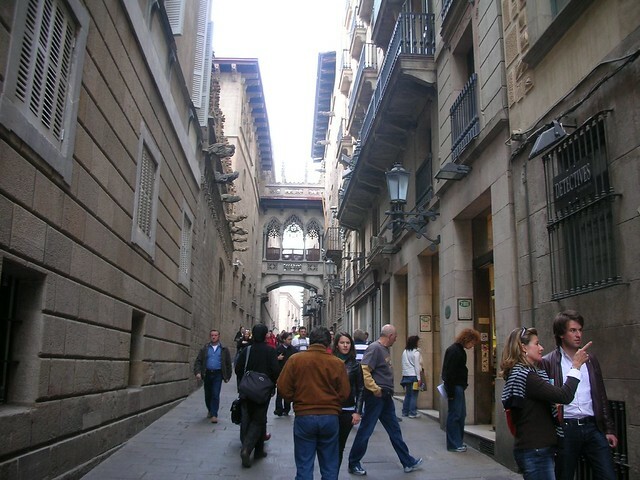 The former Jewish quarter in Barcelona is known as El Call (from the Hebrew for ‘kahal’ meaning community). It’s still possible to find Hebrew letters and inscriptions on many buildings in the city. We recommend hooking up with our specialist tour guide who can bring the history to life as you walk these medieval streets, stopping off at the site of the kosher butcher and the original synagogue. (It is believed that up to four synagogues were located in this city.) As you explore these streets, you’ll track the history of the community from a position of great respect in the 11th century to segregation in the 14th century and forced conversion or expulsion in the 15th. 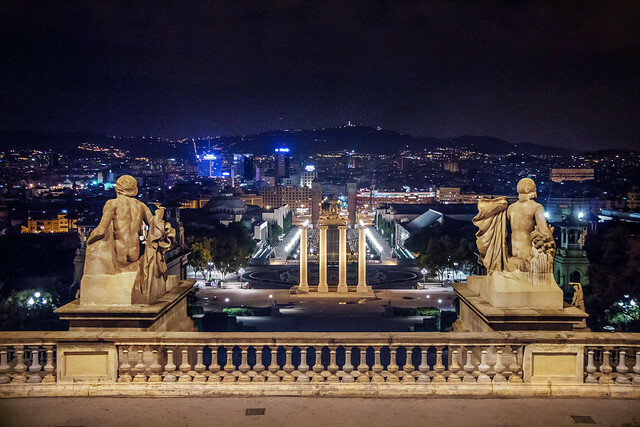 After El Call, you should visit Montjuic (which translates as Jewish mountain) overlooking the city of Barcelona. In addition to the great views, you can see the Shoah Memorial and the Museum of National Art of Catalonia – the collection includes a number of Gothic religious paintings depicting conversions from Judaism to Christianity. You might want to consider travelling in June to take in the city’s Jewish Cinema Festival. It’s been running for over a decade with the mission of disseminating Jewish culture in Barcelona. This year’s programme featured 14 movies and documentaries from Israel, Spain, Russia, Germany, France and the US. To read more about what to see in Barcelona, visit our posts on Gaudi’s Barcelona and Barcelona in 48 hours. 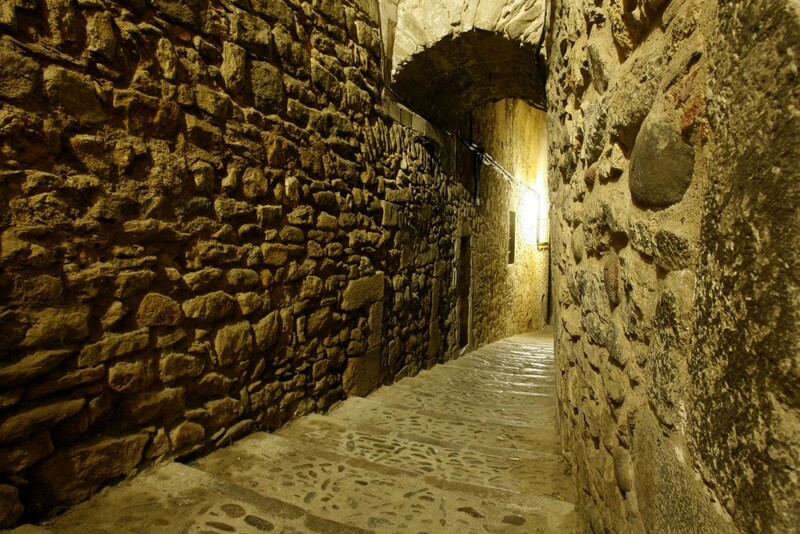 The Jewish community in Girona dates back to 890. It was a very important Jewish centre during the Middle Ages and it still has the best-preserved and most important Jewish quarter in Spain. The site was discovered accidently by a property developer. Legend has it that some of the families expelled in 1492 had bricked off or closed off their properties believing they would return. Catholic neighbours were reluctant to re-open these properties fearing they might be considered Jews and so the area was entombed until the late 1970s a land developer found the remains of Nahmanides’ yeshiva. Again we recommend you see these sites with the help of a specialist guide who will take you from the main street (which was a Roman Road) to the archways and narrow paths between stone buildings. As you travel through the old walkways where the sunlight doesn’t reach – you will feel like you have walked back in time. In the heart of this quarter is a new educational and cultural complex called the Bonastruc Ca Porta Centre, which recreates Jewish life through art exhibits, musical events and food tastings. 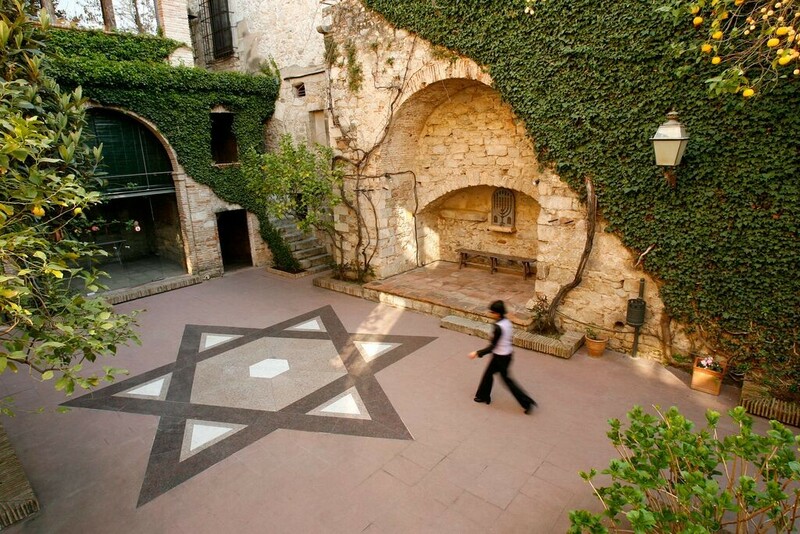 Surrounding a patio on the site of an ancient synagogue, the complex includes a Catalan Museum of Jewish Culture, the Institute for Sephardic and Kabbalistic Studies, and a library that houses important medieval Jewish manuscripts. 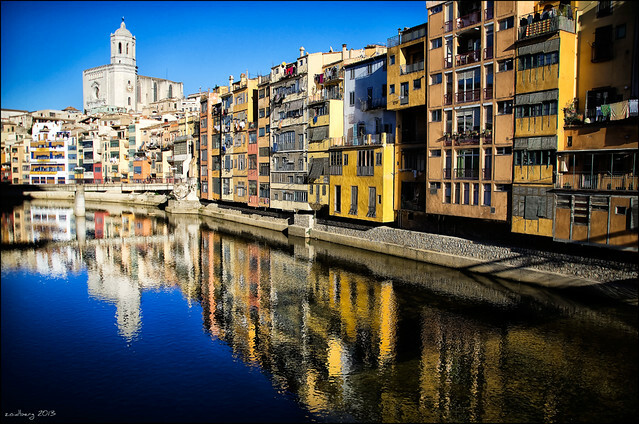 The city of Girona is included in our guide to Costa Brava here. This is a stunning town which first welcomed its Jewish community in the 9th century. In fact, Girona’s first Jewish community came from here in Besalu. Near the Mihah, where most Jews lived, you’ll see the site of the synagogue that was built in 1264. Although there are no remains of the synagogue, the place is still called ‘Pla dels Jueus’ or Place of the Jews. 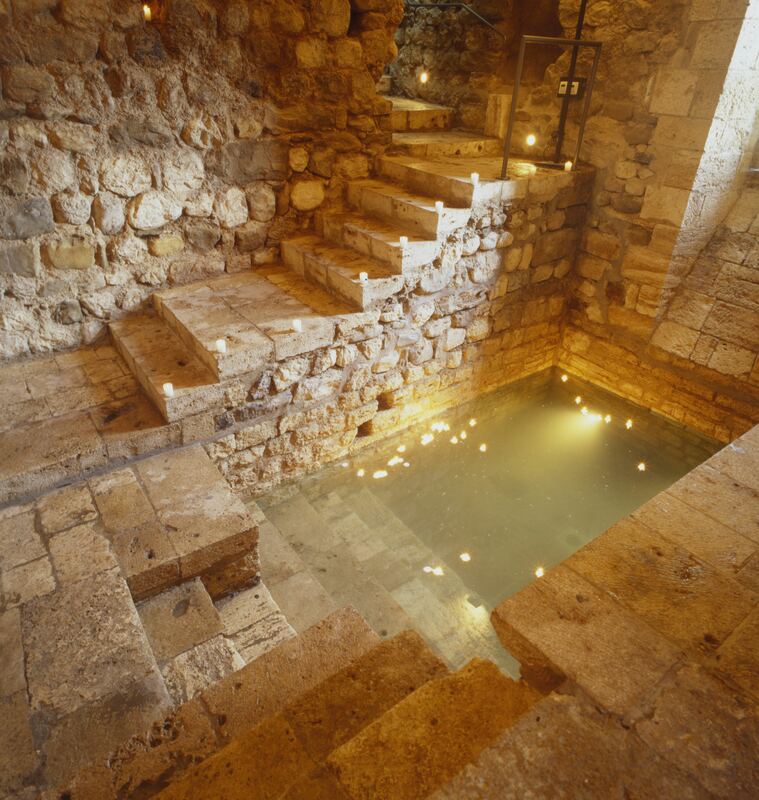 You’ll visit the 12th century mikvah (ritual Jewish bath), one of the only three from the same period that have been kept in Europe – it was only discovered in 1964. This mikvah is a stone room with 36 steps where strategically placed openings allow the rising river to flood it to the correct water level each Spring and Autumn. 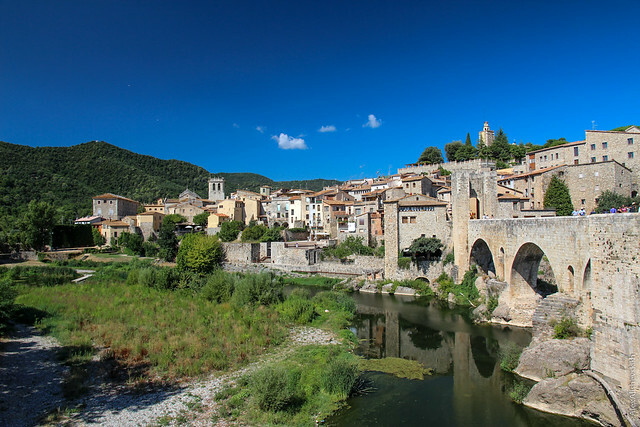 Besalu is included in our guide to the Costa Brava here. Best-known for its Roman aqueduct and Alcazar, you’ll find many traces of the Jewish community here at this World Heritage Site too. Start out at the Corpus Christi church that was once the main synagogue in Segovia. Inside you’ll find a painting depicting the reason for the expropriation by the Catholic Church. You should also visit the Didactic Centre of the Jewish Quarter which is located in Abraham Seneor’s house. Stop by the spectacular San Andres Gate in the medieval walls of Segovia and look out onto the magnificent views of the Jewish cemetery (which you can visit). 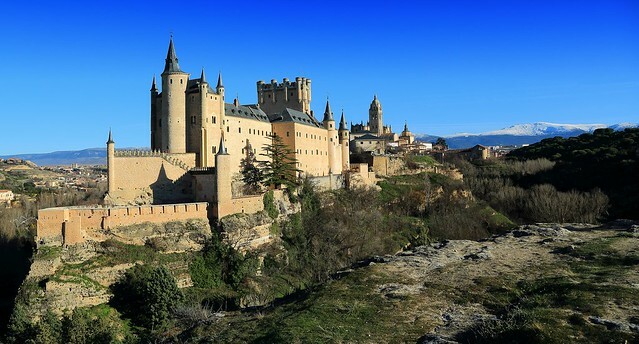 No trip to Segovia is complete without seeing the Alcazar – remember to ask where Isabella took refuge the day before she was proclaimed Queen of Castile and Leon in 1474. Her marriage to Ferdinand of Aragon (her second cousin) created a powerful union that would lead to the Inquisition and the expulsion of Jews and Muslims from Spain. 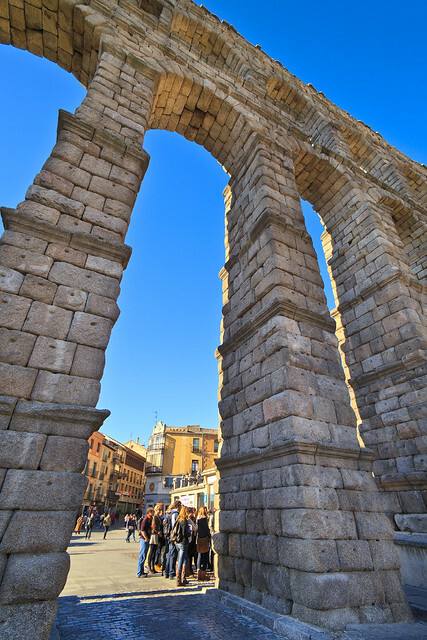 Segovia is part of our guide to day trips from Madrid. This UNESCO-listed city is known as the City of Three Cultures referring to the historical co-existence of Jewish, Muslim and Christian cultures. Toledo was a former capital of Spain and just before the expulsion, the city was the leading centre of Jewry in Spain. Following the Decree of Expulsion at the end of the 15th century, eight of the city’s ten synagogues and its five Talmudic schools were destroyed. You’ll can visit the two synagogues that survived and were converted into Catholic churches. We recommend a private tour starting out at the Transito Synagogue that was built in 1357 as a private family synagogue for Samuel ha-Levi Abulafia, treasurer to the Spanish King Peter the Cruel. Two years after the expulsion it became a Catholic Church but since 1972, it’s home to a Sephardic Museum and proudly displays its historic Hebrew inscriptions and beautifully panelled wooden ceiling. The second synagogue located a little outside the town, Santa Maria La Blanca, was built by Islamic architects in the 12th century for Jewish use and is considered a symbol of co-existence from the Middle Ages. From 1411, it ceased to be a synagogue and remains empty today. 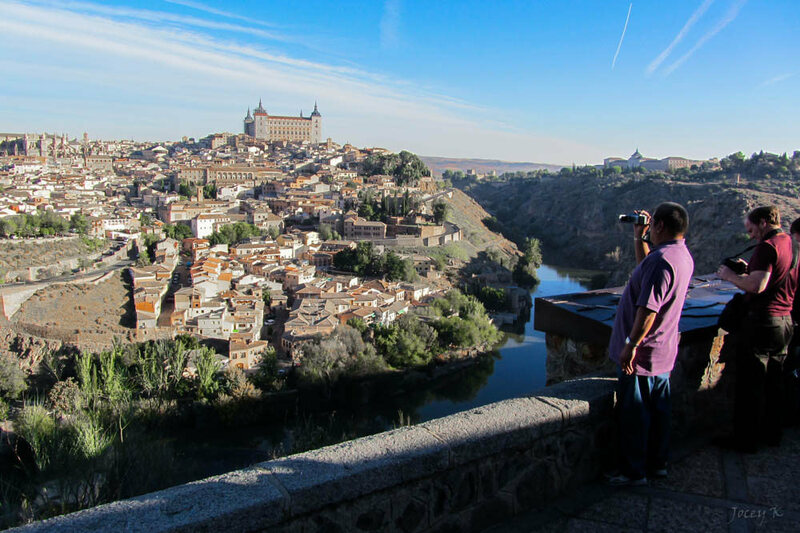 Toledo is included in our guide to day trips from Madrid here. Granada is famous for its exquisite UNESCO-listed Alhambra, a complex of Moorish palaces built around courtyards of flowering trees, pools and fountains. Although it is one of Spain’s most exciting, sensual and romantic of World Heritage sites, it was also the location for the signing of the Alhambra Decree that called for the expulsion of Spain’s Jews in 1492. 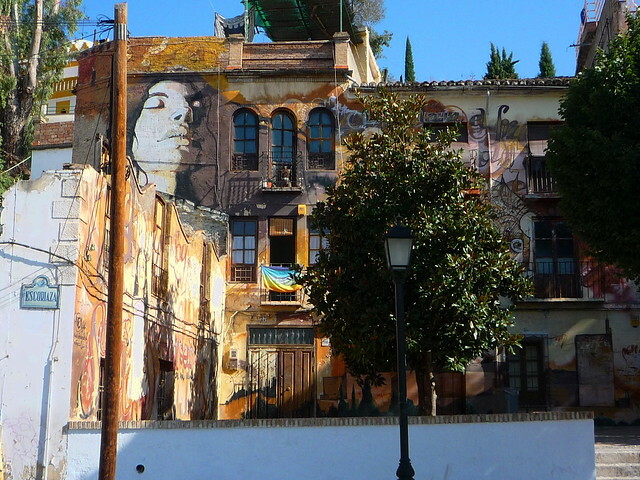 Before visiting the Alhambra Palace that was ruled by the Nasrid dynasty (until they lost control to the Catholic Kings), you should explore the Jewish quarter in Granada. The Jewish community lived in Granada in perfect freedom – and the example of a Jewish refugee from Cordoba becoming a top ranking general in Granada’s Muslim army is offered as proof. But this was shortlived and 11 years after Samuel Ha’Nagid’s death in 1066, the entire Jewish population of 4,000 residents had either fled from Granada or was killed. The community returned but was subjected to further persecution in 1090. In the 12th and 13th centuries under the Almodad regime, only Jews that that converted to Christianity were allow remain in the city. The Naserite dynasty (1232-1492) was more welcoming to the Jewish community – until it was toppled by the Catholic Kings. Curiously, the Treaty of Granada dated November 25 1491 (signed by Queen Isabella and Emir Muhammad XII) protected religious freedom for the Muslim community in the main part, but it was revoked on 31 March by the Alhambra Decree, this time signed by Isabella and Ferdinand in 1492. Again we recommend a private tour guide who should take you to the Realejo neighbourhood also known as the Juderia or Jewish Quarter during the Muslim period of rule. The old gates and walls have not survived but the upper parts of the Quarter retain some if its original labyrinthine layout – a feature of Moorish urban design. 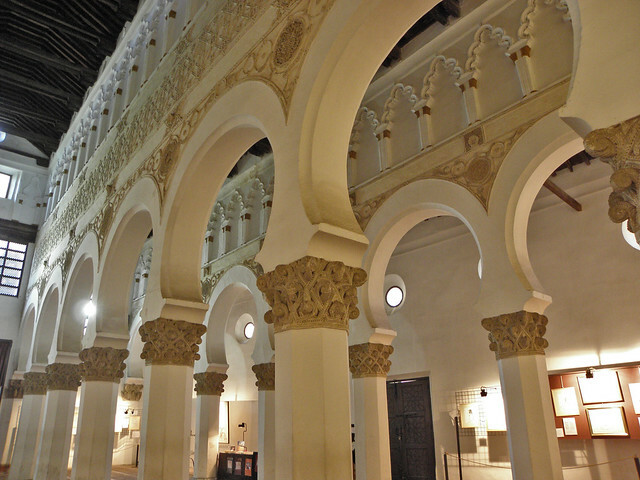 Spend some time at the Sephardi Museum of Granada which hosts events such as concerts and gastronomy evenings also. And pop into the Palace of the Forgotten – a new privately-run Sephardic museum that opened recently. Many of its exhibits come from its sister museum in Ubeda. 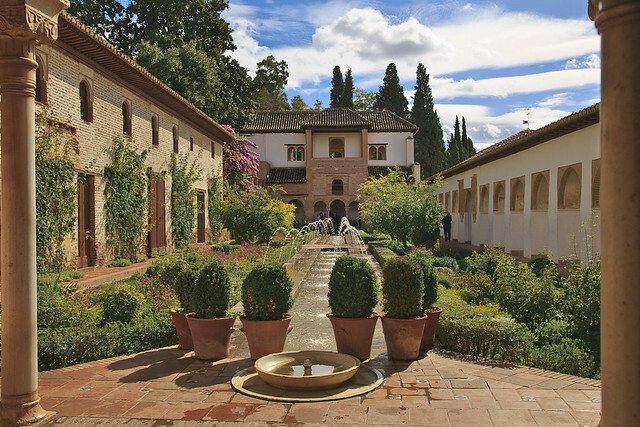 Finish up with a private visit to the Alhambra and the Generalife gardens. Read our guide to visiting the Alhambra here. Between Granada and Cordoba is the small city of Lucena (Eliossana in Hebrew meaning God Save Us) which was known as the City of the Jews as it was almost exclusively inhabited by Jews between the 9th and 12th centuries. 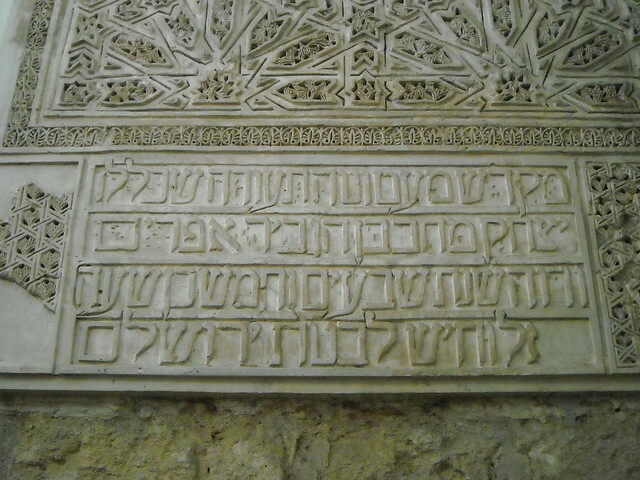 The Jews of Lucena had lived peacefully, increasing greatly in number after 1066 when many Jewish families sought safety from the persecution in Granada. This migration carried on into the late 15th and 16th centuries when families of converts moved here. A fascinating discovery was made in the last century when a Jewish cemetery dating back to the 10th century was discovered and almost 400 tombs were revealed. 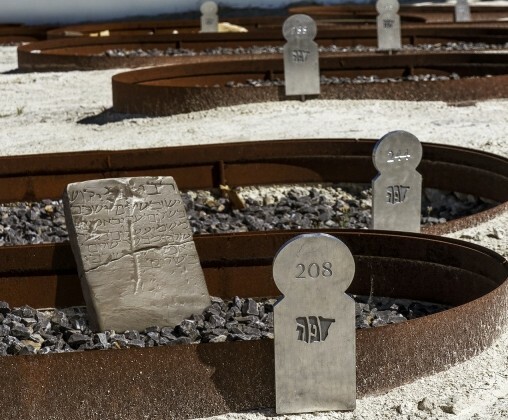 A conference is held in Lucena every December to commemorate the city’s Jewish legacy (and the re-internment of those graves in 2011) with guided tours of the city, workshops, talks and music. You can read about the event here. 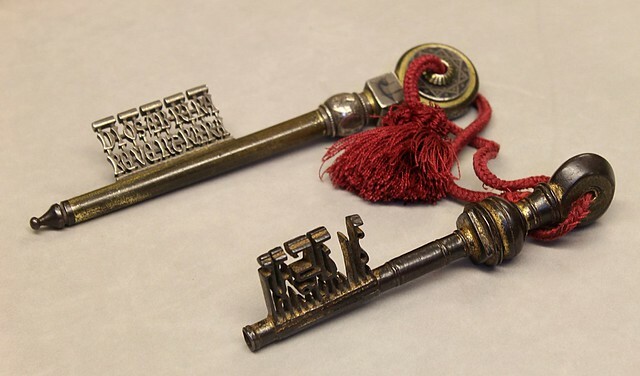 If you are considering a trip to Lucena (or anywhere else we’ve covered here), we encourage you to read this brilliant article by Josh Nathan-Kazis (with an interesting section on Lucena) about how Spanish cities with a Sephardi past sometimes struggle with their heritage here. It was chilling to learn that the Conversos in Lucena dropped their masks in the city’s Easter Processions to demonstrate that they were actually taking part in the procession. Pro-tip: We recommend that you visit Lucena with the help of one of our private guides who can not only secure passes to visit the Jewish cemetery but can explain the city’s past and its present perfectly. To get a snapshot of Jewish Cordoba, you must start at the Synagogue built in 1314, a beautiful Mudejar building nearly perfectly preserved. 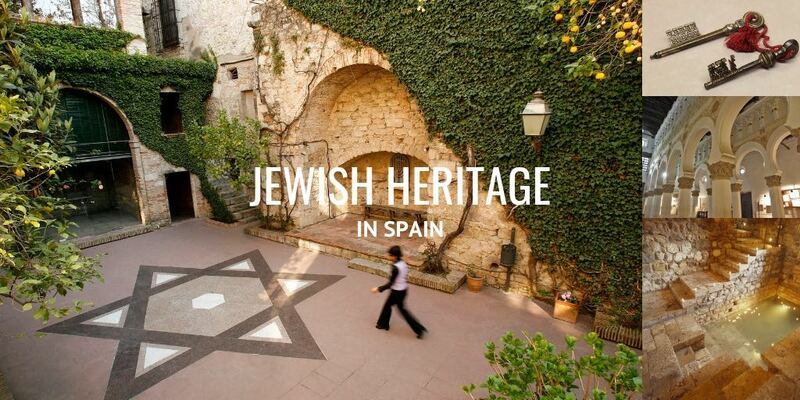 It’s the only synagogue in Spain from that time that has not been turned into a Christian place of worship. 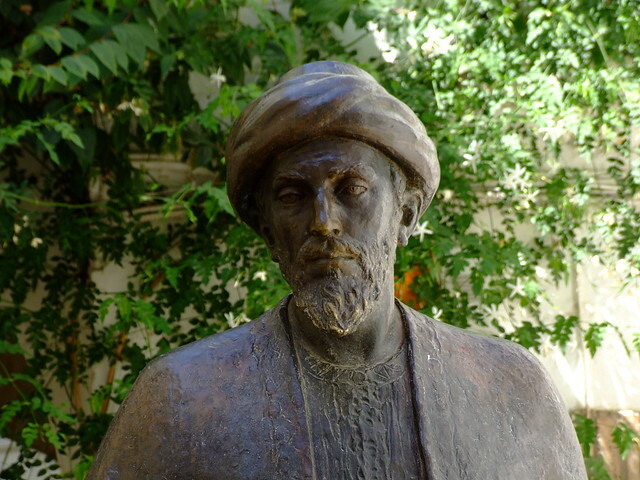 Explore the Jewish Quarter including Almodovar Gate or ‘Gate of the Jews’ as it is known locally and the monument to the great Jewish doctor and philosopher, Maimonides. Stop off at Casa Sefarad, a cultural project concerned with Judeo-Spanish culture, history and traditions with a unique collection and cultural activities to disseminate the rich legacy of the Sephardic tradition. The exhibition on Sephardic food surprises most contemporary Spaniards who don’t know that staples such as ‘cocido’ stew is of Jewish origin. 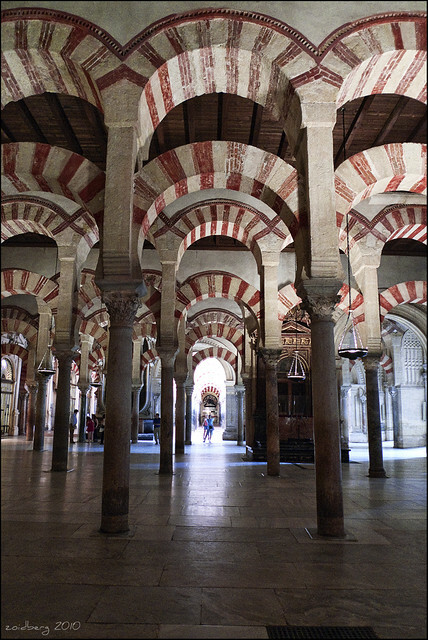 You can’t visit Cordoba without seeing the Mezquita which is a UNESCO-listed Roman Catholic cathedral that was originally a Catholic church, was then converted to a Islamic mosque and was converted back to a Catholic church again. It’s a must-see for most visitors to Spain and demonstrates, like no other building, the multi-cultural history of this city. If you are travelling in June, make sure to attend the annual International Sephardi Music Festival in Cordoba’s Botanic Gardens. If gardens bring you pleasure, you may wish to visit the Alcazar de los Reyes Cristianos (Fortress of the Christian Monarchs) a Mudejar palace from the 14th century with a beautiful Moorish garden complex. You should be aware that it served as the seat of the Inquisition Tribunal in the 15th century. 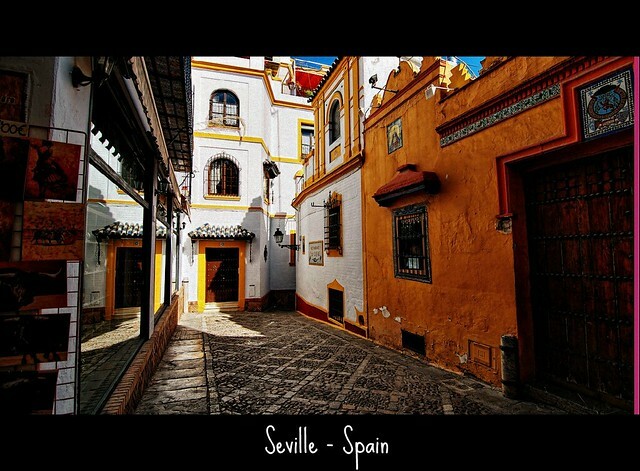 Although Seville is best known for its Moorish and Christian roots, you’ll find the Jewish influence is also evident – it was the largest Jewish community in Spain after Toledo. 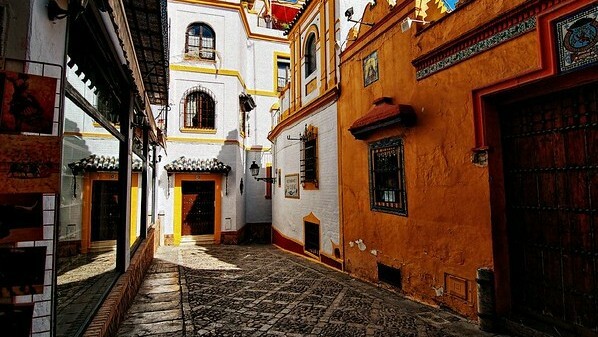 The former Jewish Quarter encompasses the barrios (neighbourhoods) of Santa Cruz, Santa María la Blanca and San Bartolomé and these are the streets you’ll want to explore with the help of a private guide if possible. Pro-tip: let us arrange a very special tour here with the help of our guide who shows you Seville through Jewish eyes – from the past to the present day. It’s a journey that contextualises the smaller details you’d never find on your own. However you are visiting the city, you’ll want to begin your visit in Barrio Santa Cruz in the Santa Cruz Square. This was the location of the old synagogue that became a Christian church after 1391 – it was sadly destroyed in 1811. From here, you should visit the former synagogue-church of Santa Maria la Blanca – built in 1252 – the current church was built in the Baroque style in 1662. And continue on to the church of San Bartolome. It survived the fate of the previous two synagogues in the late 14th century but by 1490 was remodelled. The church you will see in front of you is from 1786. Seville has many city gates – you should seek out three of these gates – De la Carne, San Nicolas and Meson del Moro – which provided access to the Jewish Quarter. And if you still have some energy, visit the site of the Cano and Cueto cemetery also. 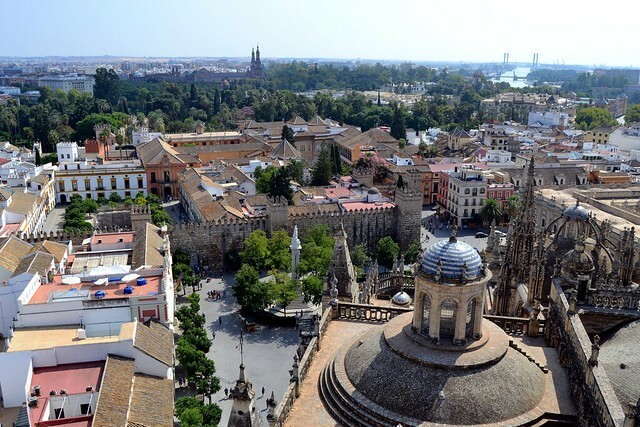 You can’t come to Seville without seeing the breathtakingly beautiful Moorish Giralda dating back to the 12th century. And the city’s Cathedral, the Patio de los Naranjos (Patio of the Orange Trees) and the Torre del Oro (Golden Tower) from the 13th century. Of course, the Plaza de Espana as well. And the stunning Alcazar and stunning gardens that King Peter the Cruel chose as his royal residence. Wind down by experiencing a flamenco performance, the roots of which are many including Jewish. Interested in continuing your Jewish heritage journey into Portugal? Check out the significant Jewish heritage sights in Portugal. Posted in Barcelona, Castilla Leon, Catalonia, Cordoba, Granada, Insider Spain Guides, Popular Posts, Sephardi Spain, Seville, Toledo and tagged 1492, Alhambra, Barrio de Santa Cruz, Besalu, Bonastruc Ca Porta Centre, Casa Sefarad, El Call, flamenco, Girona, International Sephardi Music Festival, Juderia, Kabbalistic Studies, Lucena, mikvah, Montjuic, Segovia, Sephardic Studies, synagogues, World Heritage site, yeshiva.